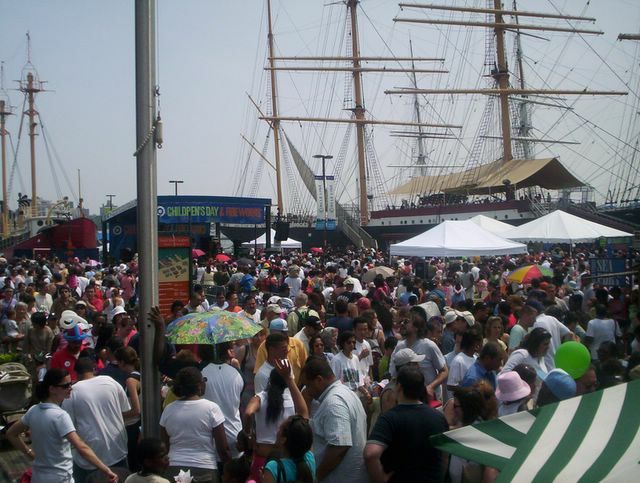 I went out this afternoon to check out the children's day activities at South Street Seaport. I know it was for children, but Gordon from Sesame Street was there and I just had to see him! 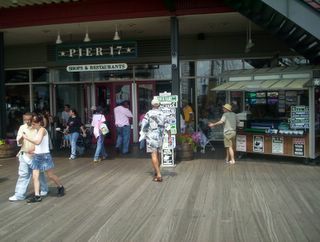 I must have been the only person there without someone under three feet tall this afternoon at the Seaport (a.ka. stroller hell!). I was walking north on South Street (who woulda thunk it!) 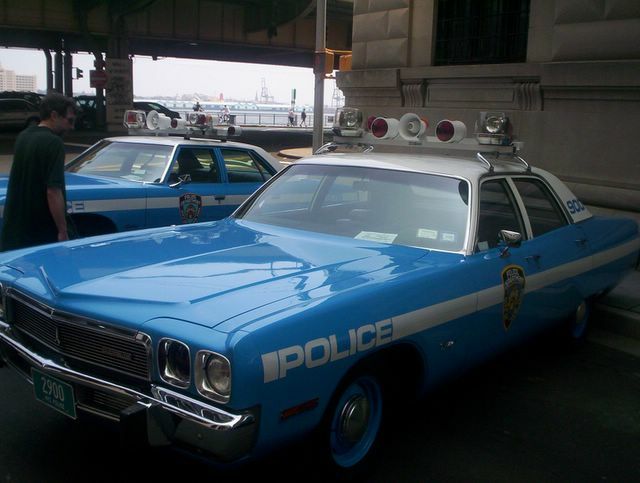 and noticed a New York City Police Department museum exhibit of old police cars. Perhaps the most well known police car in Gotham: Yup! 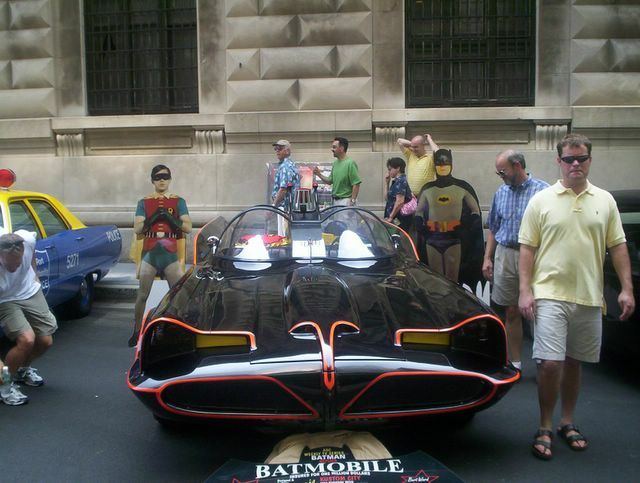 The real Batmobile from the old television series. Who would have thunk this car would have been here? 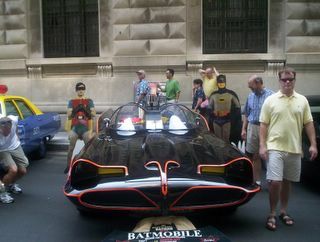 You never know what you'll stumble upon in NYC! 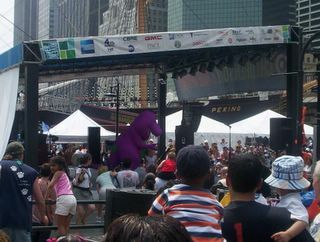 The purple dinasaur himself, Barney! Live at the South Street Seaport Children's day Center Stage. Complete with song and dance. ok...so I couldn't get a good shot of Sesame Street's famous "Gordon" on stage because of all the children on parents' shoulders and umbrellas. So I stalked him! He is the one walking away from me in the white cap and white and blue hawaiian shirt. I am now unofficially a member of the paparazzi! 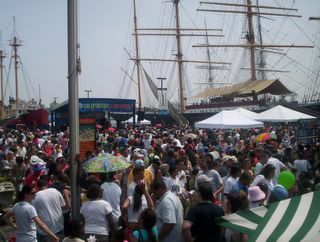 A look at the crowd watching Center Stage at the South Street Seaport Children's day.